Sunglasses by the brand EMPORIO ARMANI Unisex Sunglasses, with reference S0010249, with a(n) Formal and Modern style.Emporio Armani 4058 56539A 58 17 they have a(n) Full Rim frame made of Acetate / plastic with a(n) Square shape in Black colour. Their size is 58mm and their bridge width is 17mm, with a total frame width of 75mm. They have Organic, Green, PolarizedUniform lenses. These glasses are suitable for prescription lenses. These are top of the range glasses from the brand EMPORIO ARMANI, made of high-quality materials, modern glasses that will give you a look that matches your image. Buy Emporio Armani 4058 56539A 58 17 sunglasses in an easy and safe way at the best price in our online store. Eyewear by the brand EMPORIO ARMANI, for Eyeglasses for men, with reference M0008547, with a(n) Modern style.These Emporio Armani 3038 5063 54 16 have a(n) Full Rim frame made of Acetate / plastic with a(n) Squared shape in aluminum colour. Their size is 54mm and their bridge width is 16mm, with a total frame width of 70mm. These glasses are suitable for prescription lenses. These are top of the range glasses from the brand EMPORIO ARMANI, made of high-quality materials, modern eyewear that will give you a look that matches your image. Buy Emporio Armani 3038 5063 54 16 eyewear in an easy and safe way at the best price in our online store. string(139) "Buy Emporio Armani 3038 5063 54 16 eyeglasses. Modern and elegant model. Original product with fast shipping, quality guarantee and refund." string(30) "Emporio Armani 3038 5063 54 16"
string(125) "Classic modernity and traditional innovation. These dichotomies are present in every Emporio Armani glasses and sunglasses. Sunglasses by the brand EMPORIO ARMANI Unisex Sunglasses, with reference S0010251, with a(n) Formal and Modern style.Emporio Armani 4097 501787 56 19 they have a(n) Full Rim frame made of Acetate / plastic with a(n) Square shape in Black colour. Their size is 56mm and their bridge width is 19mm, with a total frame width of 75mm. They have Organic, Gray, Uniform lenses. These glasses are suitable for prescription lenses. These are top of the range glasses from the brand EMPORIO ARMANI, made of high-quality materials, modern glasses that will give you a look that matches your image. Buy Emporio Armani 4097 501787 56 19 sunglasses in an easy and safe way at the best price in our online store. string(141) "Buy Emporio Armani 4097 501787 56 19 sunglasses. Modern and elegant model. Original product with fast shipping, quality guarantee and refund." string(32) "Emporio Armani 4097 501787 56 19"
Sunglasses by the brand EMPORIO ARMANI Unisex Sunglasses, with reference S0010250, with a(n) Formal and Modern style.Emporio Armani 4079 550983 57 18 they have a(n) Full Rim frame made of Acetate / plastic with a(n) Square shape in Brown colour. Their size is 57mm and their bridge width is 18mm, with a total frame width of 75mm. They have Organic, Brown, PolarizedUniform lenses. These glasses are suitable for prescription lenses. These are top of the range glasses from the brand EMPORIO ARMANI, made of high-quality materials, modern glasses that will give you a look that matches your image. Buy Emporio Armani 4079 550983 57 18 sunglasses in an easy and safe way at the best price in our online store. string(141) "Buy Emporio Armani 4079 550983 57 18 sunglasses. Modern and elegant model. Original product with fast shipping, quality guarantee and refund." string(32) "Emporio Armani 4079 550983 57 18"
Eyewear by the brand EMPORIO ARMANI, for Eyeglasses for men, with reference M0013459, with a(n) Formal and Modern style.These Emporio Armani 4115 50421W 54 18 have a(n) Full Rim frame made of Acetate / plastic with a(n) Square shape in Black colour. Their size is 54mm and their bridge width is 18mm, with a total frame width of 72mm. They have SilverBlack, lenses. These glasses are suitable for prescription lenses. These are top of the range glasses from the brand EMPORIO ARMANI, made of high-quality materials, modern eyewear that will give you a look that matches your image. Buy Emporio Armani 4115 50421W 54 18 eyewear in an easy and safe way at the best price in our online store. string(141) "Buy Emporio Armani 4115 50421W 54 18 eyeglasses. Modern and elegant model. Original product with fast shipping, quality guarantee and refund." string(32) "Emporio Armani 4115 50421W 54 18"
Eyewear by the brand EMPORIO ARMANI, for Eyeglasses for men, with reference M0013452, with a(n) Formal and Modern style.These Emporio Armani 4115 50891W 54 18 have a(n) Full Rim frame made of Acetate / plastic with a(n) Square shape in Havana and Blue colours. Their size is 54mm and their bridge width is 18mm, with a total frame width of 72mm. They have BrownBlue, lenses. These glasses are suitable for prescription lenses. These are top of the range glasses from the brand EMPORIO ARMANI, made of high-quality materials, modern eyewear that will give you a look that matches your image. Buy Emporio Armani 4115 50891W 54 18 eyewear in an easy and safe way at the best price in our online store. string(141) "Buy Emporio Armani 4115 50891W 54 18 eyeglasses. Modern and elegant model. Original product with fast shipping, quality guarantee and refund." string(32) "Emporio Armani 4115 50891W 54 18"
Sunglasses by the brand EMPORIO ARMANI Unisex Sunglasses, with reference S0009907, with a(n) Formal and Modern style.Emporio Armani 4114 567471 55 20 they have a(n) Full Rim frame made of Acetate / plastic with a(n) Square shape in Black and Green colours. Their size is 55mm and their bridge width is 20mm, with a total frame width of 75mm. They have Organic, Brown, Uniform lenses. These glasses are suitable for prescription lenses. These are top of the range glasses from the brand EMPORIO ARMANI, made of high-quality materials, modern glasses that will give you a look that matches your image. Buy Emporio Armani 4114 567471 55 20 sunglasses in an easy and safe way at the best price in our online store. string(141) "Buy Emporio Armani 4114 567471 55 20 sunglasses. Modern and elegant model. Original product with fast shipping, quality guarantee and refund." string(32) "Emporio Armani 4114 567471 55 20"
Sunglasses by the brand EMPORIO ARMANI Unisex Sunglasses, with reference S0009906, with a(n) Formal and Modern style.Emporio Armani 4114 567355 55 20 they have a(n) Full Rim frame made of Acetate / plastic with a(n) Square shape in Black and Blue colours. Their size is 55mm and their bridge width is 20mm, with a total frame width of 75mm. They have Organic, Blue, MirrorUniform lenses. These glasses are suitable for prescription lenses. These are top of the range glasses from the brand EMPORIO ARMANI, made of high-quality materials, modern glasses that will give you a look that matches your image. Buy Emporio Armani 4114 567355 55 20 sunglasses in an easy and safe way at the best price in our online store. 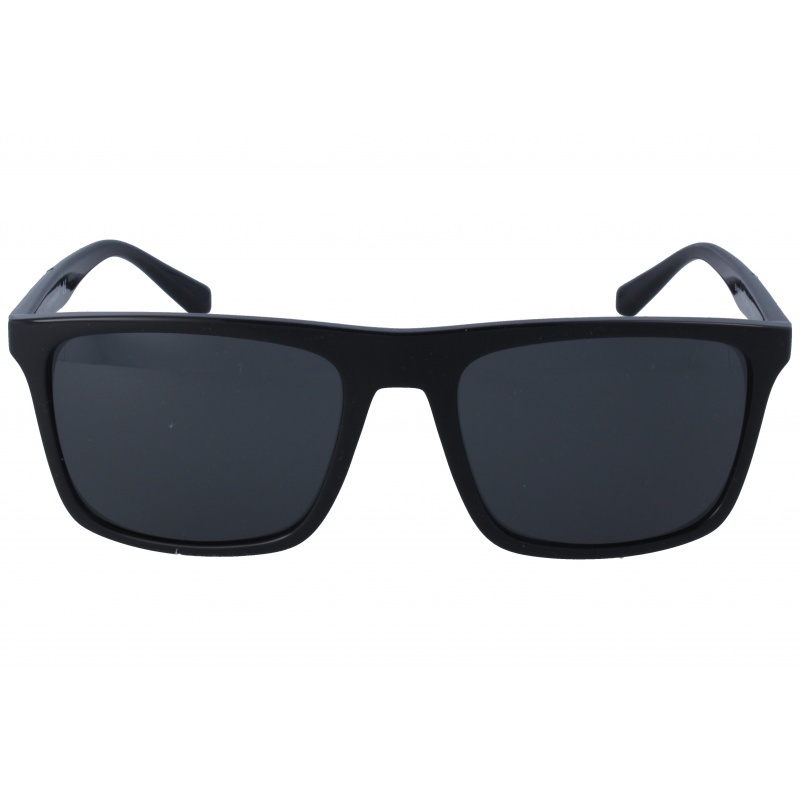 string(141) "Buy Emporio Armani 4114 567355 55 20 sunglasses. Modern and elegant model. Original product with fast shipping, quality guarantee and refund." string(32) "Emporio Armani 4114 567355 55 20"
Sunglasses by the brand EMPORIO ARMANI Unisex Sunglasses, with reference S0009905, with a(n) Formal and Modern style.Emporio Armani 4079 504287 57 18 they have a(n) Full Rim frame made of Acetate / plastic with a(n) Square shape in Black colour. Their size is 57mm and their bridge width is 18mm, with a total frame width of 75mm. They have Organic, Black, Uniform lenses. These glasses are suitable for prescription lenses. These are top of the range glasses from the brand EMPORIO ARMANI, made of high-quality materials, modern glasses that will give you a look that matches your image. Buy Emporio Armani 4079 504287 57 18 sunglasses in an easy and safe way at the best price in our online store. string(141) "Buy Emporio Armani 4079 504287 57 18 sunglasses. Modern and elegant model. Original product with fast shipping, quality guarantee and refund." string(32) "Emporio Armani 4079 504287 57 18"